A car park in Shoreham is to close for four months as works on the Shoreham Adur Tidal Walls scheme progresses. The Ropetackle car park will be closed from tomorrow (Wednesday, May 23) for 20 weeks as teams use the site as a secure storage compound. 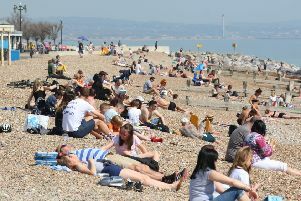 Adur District Council said a small number of permit holders would be affected and had been directed to use alternatives. Other motorists are asked to plan in advance, a spokesman said. The car park will be used as contractors begin work on reach E2 of the Environment Agency’s flood defence scheme.